Two worksheets. 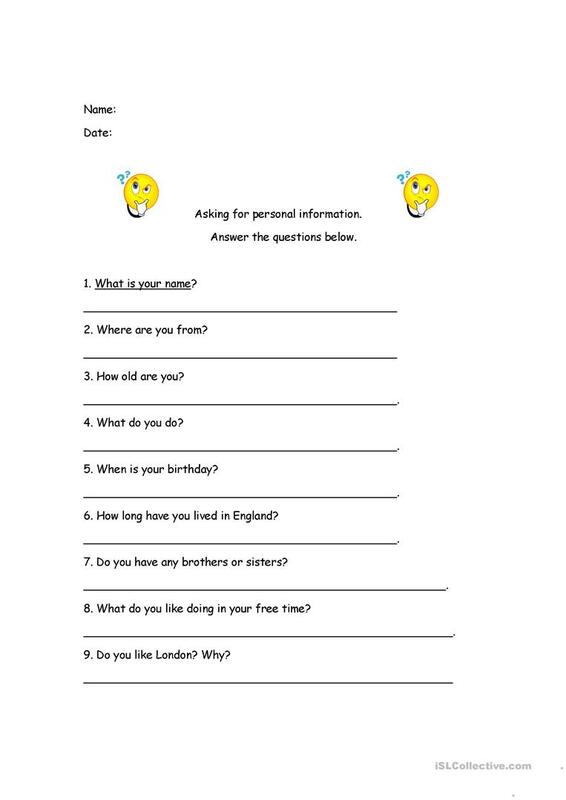 The first is on asking questions to get personal information and the second is to answer the questions (for learners at a slightly lower level and not yet able to form questions). 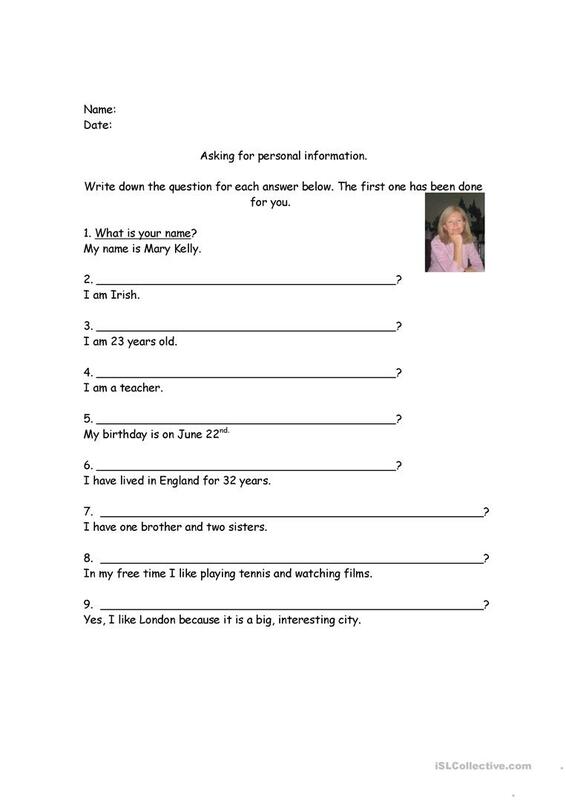 The above downloadable handout is meant for high school students and adults at Beginner (pre-A1), Elementary (A1) and Pre-intermediate (A2) level. It is a valuable material for enhancing your learners' Spelling, Speaking, Reading and Writing skills. It centers around the theme of Greetings.